CEAG customers come from many different industries, operating in a variety of sectors and in many different countries, but the service we offer is designed to be of the same high standard, no matter who or where we are selling to. We operate a consistent programme of internal quality assessment, where we examine our products and the service we provide. This is to ensure we are operating to the highest possible standards and aiming to exceed the expectations of anyone who chooses to do business with us. 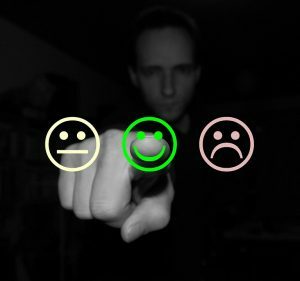 As part of this process we have an online customer satisfaction survey, which takes just a few clicks and around one minute of your time. If you are a CEAG customer, we are very pleased to have you on board and would be grateful if you would give us your feedback by following this link: https://www.surveymonkey.co.uk/r/77QGXM2. If you would like to find out more about how we can help with your lighting requirements, our sales and customer service team are on hand to answer queries and deal with any requests you may have. Please call on +44 1226 206842 or email us on sales@ceag.co.uk. Every second of every day, somewhere in the world there’s a CEAG bulb shining. Our customers come from all over the world, with our lighting products illuminating more than thirty countries across all six of the inhabited continents on Earth. 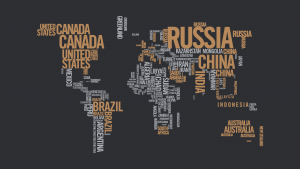 CEAG has a global reach, but all of our customers are treated as local. 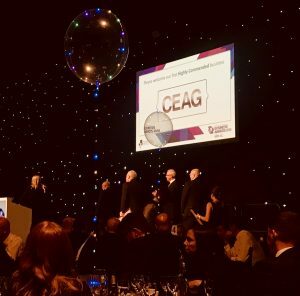 With such a long history of manufacturing and exporting lighting solutions, components and accessories, in past years, CEAG seems to have been hiding it’s light under a bushel somewhat… if you’ll forgive the pun! 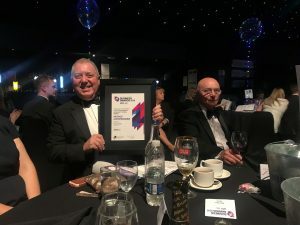 It goes without saying therefore that we were very excited to be recognised and awarded as Highly Commended at the Barnsley and Rotherham Chamber of Commerce Awards 2018! CEAG was nominated in the category of ‘Innovation in Manufacturing’. The focus being on the incredible work our research and development team has done to keep the company at the forefront of lighting manufacture and supply. Within the lighting industry, we are very proud of our long history, spanning more than 100 years. Our history in creating LUMAX brand bulbs is well known and we continue to manufacture traditional automotive and other bulbs, using the original methods, alongside supplying the latest in LED and halogen technology. For some of the incandescent bulbs and other items we manufacture, we are the only company that does so, giving us a unique position in the industries we supply. We are also recognised as the preferred supplier of lighting components to many national and global organisations. CEAG currently supplies the national railway service in several countries, as well as providing components and accessories to defence and infrastructure organisations and of course, to companies of all sizes within the UK and in more than thirty countries around the world. There were some brilliant businesses nominated in our category and we were very proud to be recognised alongside them and to be awarded as Highly Commended. This is a testament to the hard work and dedication of our employees, who have all been with the company for many years and can be very proud of the work they do. The Barnsley and Rotherham Chamber of Commerce put on an excellent event at Magna and there were hundreds of people in attendance. 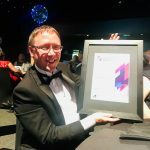 Once the formality of the awards was done, everyone was able to relax and there was definitely dancing – although unfortunately there are no photographs of that! The team who attended the awards did have a very good evening celebrating our achievement though!